BBC World Service to get more money, but less influence? Jonathan Marks takes a look at the future of the BBC World Service under the umbrella of the BBC News group board. Read for yourself on Jonathan’s blog, Critical Distance. This entry was posted in Broadcasters, International Broadcasting, News and tagged BBC, BBC World Service, BBC World Service Cuts, Critical Distance, Jonathan Marks on April 7, 2014 by Thomas. I appears the BBC World Service is cutting shortwave broadcasts even further in an attempt to meet tighter budget numbers. Not many details, at the moment, in terms of what language programs will suffer the most. 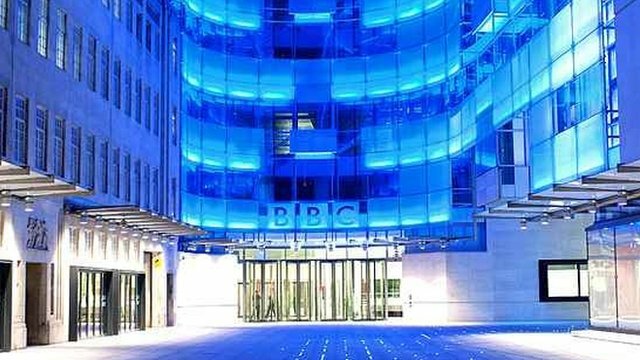 The BBC World Service will further reduce its shortwave transmissions next year as part of a £15m savings drive which staff have been warned will be a “real stretch”. The money will be used to invest in new TV and digital services, part of a programme called Invest to Innovate. An extra £6.5m is being pumped into the World Service’s budget this year, alongside an extra £1.5m of savings, helping to create 130 jobs. New initiatives include a global version of Radio 1’s Newsbeat. But the BBC’s director of global news, Peter Horrocks, said further savings would be required in the future. […]Horrocks said changes would include more multilingual reporting, with staff filing for their own language service and in English, as well as a further reduction in shortwave transmissions. He said the World Service would also have to integrate further with the main BBC News operation. Horrocks also announced that the BBC’s global news division, which includes its world news TV channel, would be renamed “World Service Group … a sort of World Service-plus” and the World Service board would be axed with the change in its funding. This entry was posted in Broadcasters, News, Shortwave Radio and tagged BBC, BBC Cuts, BBC World Service, BBC World Service Cuts on February 19, 2014 by Thomas.